If you want to join Blog Engage, let me know in the comments below and I'll send you an invitation. If you're an active blogger or business owner with a blog, you can sign up for the RSS subscription service with Blog Engage and save time submitting your articles, and gain exposure for your content! 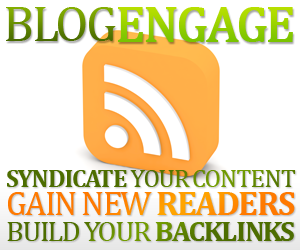 Contact me if you want to find out more and how the Blog Engage RSS service and the Affiliate Lights program from Blog Engage can benefit you.